What is a mobile product app, a learning solution, doing at an advertising awards show like Goafest? Well, once you go through the Ben & Bella Treasure Box AR app that was nominated for an award, you realise that the new face of brand engagement need not be a pure communication campaign but can also be a product itself! And if the app uses artificial intelligence, augmented reality (AR), analytics and gaming as Ben and Bella does, then the engagement potential can be very high. Ben & Bella is six-month-old startup GoPhygital’s early project. It is a learning app for pre-schoolers based on a physical story book which is brought alive using image search, AR and a host of other techniques. As the name suggests, the business model of the startup, founded by applied gaming expert Ninad Chhaya (he was co-founder, IndiaGames, and had done stints with Jump Games, Playcaso and Robosoft) and his childhood friend, engineer Hitesh Jain revolves around merging the physical and digital. GoPhygital has been incubated by Jain’s firm WITS Interactive, a trans media agency that counts a lot of European publishers among its clients. It was thus natural for GoPhygital to start off with a publishing project. Ben & Bella, created for German publisher Early Learning Group, is an example of how the physical and digital worlds can meld. The objective was to familiarise children with spoken English, achieved in an interactive manner. 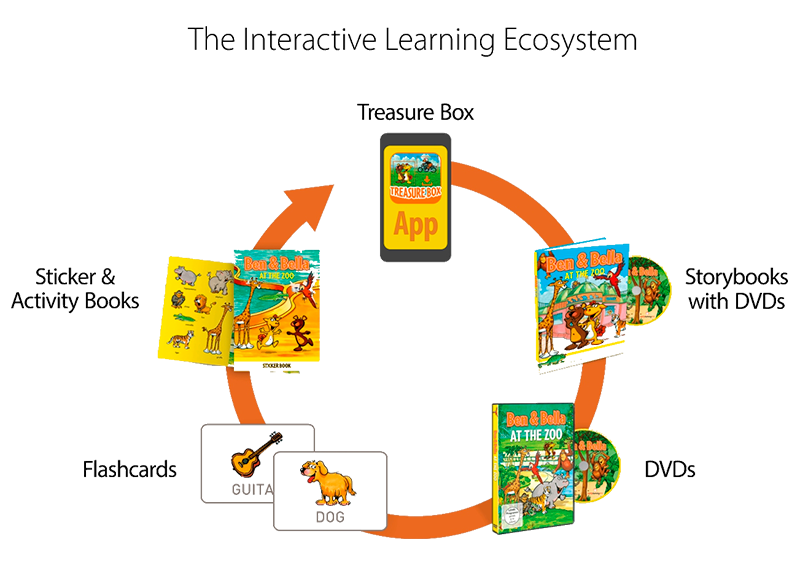 All a child has to do is click on the app and use its camera to scan the pictures of the story book. The minute it hovers over a picture, the app is activated and starts a song, a video or a game. Suppose the child scans the picture of an elephant, the app will pronounce the word elephant and could start a quiz on the pachyderm. It doesn’t end there, as Hitesh Jain explains. With 200,000 minutes of content being consumed on the app, it generates a lot of analytics on what its users are doing. It has exact information on which images the child has scanned, the videos she has seen, and the words she may have learnt. So personalised tests can be set based on exactly what has been seen and learnt. But the biggest result of the app, says Jain, is that the physical (books) has driven the user to the digital and back again to physical. He describes how Early Learning Group was worried that once the app was made, children would stop consuming the books. But the app has driven them to buy flashcards and stickers, generating more business for the publisher. According to Jain, there’s lot that can be done with this technology. Right now it is a simple intervention for kids. The algorithm recognises a shape and gets activated, but it can be applied in a lot of places with a lot more complexity. “Suppose we are working with a brand, say a company, if I have a logo placed at its reception, I can tie that to an interactive app. Every employee will have a smart device; all they have to do when they come in is scan the logo and it will read the employee profile and it could give him or her a task, or a news update related to the department he or she is in.” He says the possibilities are endless. GoPhygital’s parent WITS Interactive has in the past created some interesting solutions for publishers. For instance, Jain describes how publishers in Germany were feeling threatened by the march of Amazon and its push towards getting readers on Kindle and the free availability of content online. WITS teamed up with Möllers & Bellinghausen Publishing to create a book discovery tool on the Internet – a social media platform called Book2Look. It finds reviews on books published in top e-commerce sites and incorporates this in a widget on the platform. It became a viral marketing tool used by publishers, authors. Now, through GoPhygital, Jain hopes to create new chapters for publishers. “Digital exists only when physical exists. So it has to be a two-way thing,” sums up Jain.